Gozo is the industry-first loyalty points clearinghouse, and travel savings club. Gozo is providing greater efficiency, liquidity and travel savings to the consumer. Gozo’s simple and user friendly app allows users to harness the power of new technology to track and exchange valuable loyalty reward points into tokens, or Gozo travel club membership. Gozo Travel Club Members benefit from wholesale priced travel and access to premium benefits such as free airport VIP lounge access, travel insurance, best price guarantee, medijet evacuation and more. Loyalty point partner programs will also reap benefits from Gozo’s tokenized loyalty reward platform. Partners can customize the Gozo platform to fit their loyalty reward plan for their customers, providing partners with secure, transparent and frictionless customer experience. Enables exchange and liquification of loyalty reward points from various providers. 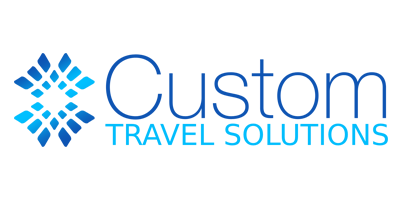 Enables membership on the Gozo PLUS travel club. Grants access to wholesale priced travel products and services. Acts as a universal loyalty reward token for use on the Gozo platform. Users can hold, send, and receive the GOZO token, and 100+ of the most popular crypto tokens. Track, manage and exchange both off-chain and on-chain loyalty reward points from multiple loyalty reward programs. Cryptocurrency and Loyalty reward points can be exchanged for GOZO tokens or other loyalty reward points, seamlessly in the wallet, or for other crypto tokens through an integrated exchange. 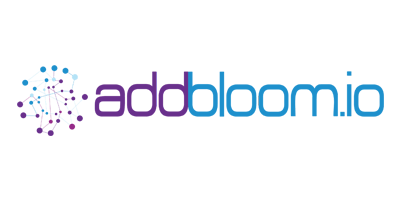 Gozo has partnered with one of the largest global travel aggregators in the world. Gozo Wallet holders can join the Gozo PLUS travel club with a monthly or annuel fee in GOZO tokens, or equivalent in fiat. Gozo PLUS members earn additional GOZO tokens for all their travel purchases on Gozo PLUS booking engine and also monthly per their membership tier. travel savings that range from a low of 5% up to 30% or even higher for special deals. high value travel benefits including premium airport lounge access, travel insurance, medi-jet evacuation, a best price promise, and much more, all included as part of the travel club membership. Gozo Multi-token Wallet and Loyalty Reward; Interview with Roy Labban, the co-creator of Gozo. Gozo Announces Loyalty Rewards Platform. Why Enabled Loyalty Rewards are the Next Big Disruptor? Consolidate all your loyalty reward points into a single wallet. Fluid and easy tracking, using, and exchanging of loyalty reward points with Gozo’s universal token built on new technology. Gozo PLUS members get wholesale priced rates that are unavailable in the general market for all their favorite travel destinations. Their first trip will likely save them more than the annual membership fee. Our business model is to return to our members the usual profit margin that most travel agencies keep, making Gozo the low cost, high value provider of exciting travel opportunities for business or pleasure. Do I have to be a member to download and use the Wallet? Can I join Gozo.io travel membership now? Will GOZO tokens be tradable on my favorite exchange? Will I be able to use GOZO tokens to pay for flights on my favorite airline, buy cruises, hotel rooms or rent cars? Do I have to join Gozo to get tokens? What makes Gozo travel membership and the Gozo loyalty rewards program better than frequent flyer programs? No, the Gozo Wallet is available for use by anyone. Once the Wallet is available in Q1-2019, you would be able to download and install it on your mobile device, or PC, and then use it to manage your tokens and loyalty reward points. Gozo is not live nor accepting members yet. Per the roadmap, Gozo plans to open for membership in 2019. 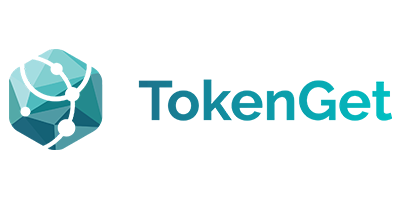 We cannot guarantee the availability of GOZO tokens on any exchanges since the exchanges elect which tokens to accept. 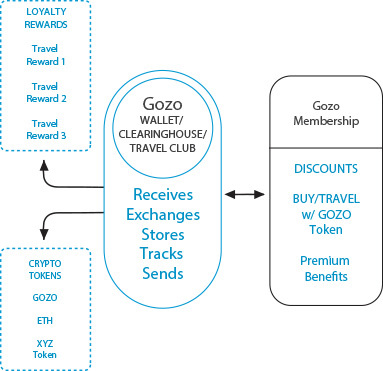 However, the GOZO travel reward token is likely to be considered extremely valuable because of the travel discounts it unlocks, making exchanges more likely to list GOZO for trading. Yes. GOZO tokens will give you discounts for travel arrangements made through Gozo PLUS as a subscribing member. While it is possible that your tokens can pay for your entire travel plan, this will depend on the costs involved and the eventual value of the GOZO tokens. No. You can buy GOZO tokens via the ICO offer directly or on exchanges after the ICO. If you choose to join Gozo, you can earn GOZO loyalty tokens through your monthly or annual membership, and also by purchasing discounted travel. Gozo membership gives you immediate discounts on travel that will probably pay for your membership on your first or second booking. As you use your Gozo PLUS membership, you gain GOZO loyalty tokens that give you discounts to use anyway you like on the Gozo platform. Instead of restrictions for using of frequent-flyer points, GOZO loyalty tokens gives you the freedom to get discounts anytime and in any way you want. Do I have to be a member to download and use the Wallet? Can I join Gozo.io travel membership now? Will GOZO tokens be tradable on my favorite exchange? Will I be able to use GOZO tokens to pay for flights on my favorite airline, buy cruises, hotel rooms or rent cars? Do I have to join Gozo to get tokens? What makes Gozo travel membership and the Gozo loyalty rewards program better than frequent flyer programs? IMPORTANT DISCLOSURE: This Website is not intended to constitute, and does not constitute, an offer, distribution, solicitation or marketing to any person in any jurisdiction where the sale, offering or distribution of digital tokens is unlawful or materially restricted (a “Non-Eligible Jurisdiction”).